Its a gloomy winter day, why not chase those winter blues away with rainbow cookies! I originally made these cookies because a friend of mine said she loves rainbow cookies and it was her birthday. Plus I wanted to know what the fuss what about with these rainbow cookies and it looks colorful. 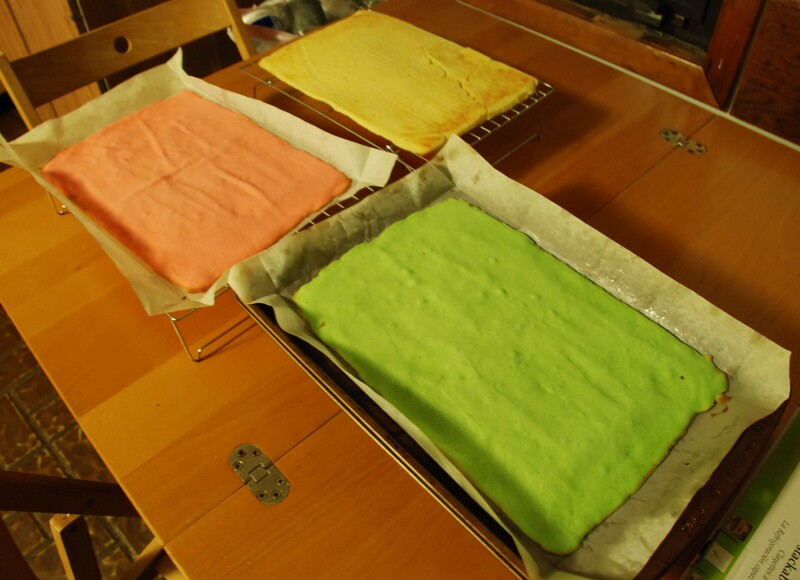 Ever since then I have tried a few rainbow cookies from different bakeries and I feel that either they make it too sweet for my taste, too much food coloring (looking like radioactive neon) or very oily. The ones I make are none of those things because well…I followed a different recipe, put less sugar and less food coloring. 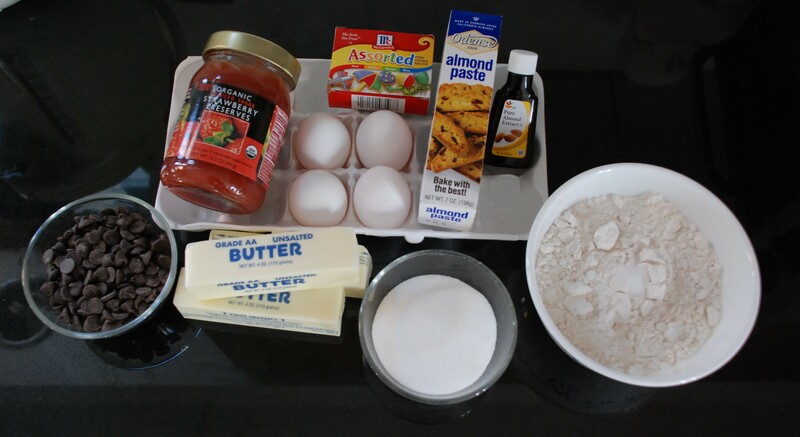 There is nothing to this recipe, its quite simple but time consuming. It is all worth it in the end because it tastes really good and so addicting. Ask my family, they eat one and another one then before you know it almost half is gone…it’s that good. Although for those of you who are allergic to nuts, I advise you not to eat it because this contains almond paste (or marzipan). 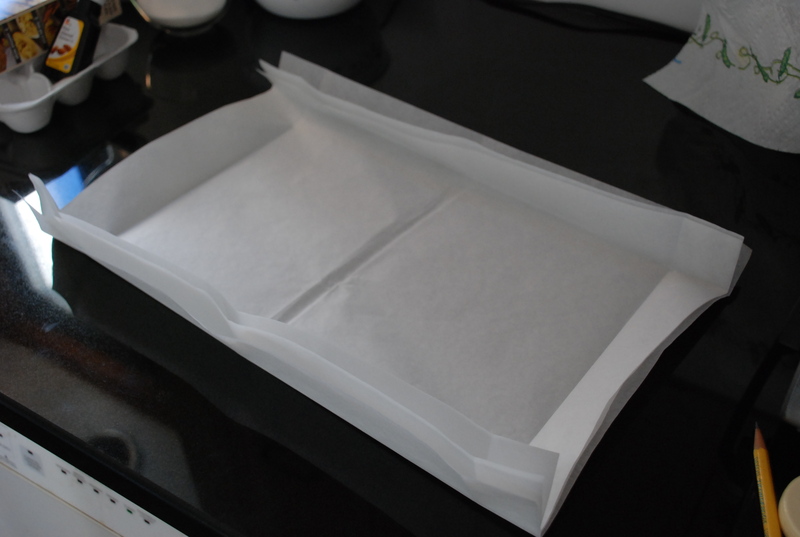 If you don’t have 13 by 9 inch metal baking pans, measure out the dimensions on the parchment paper. 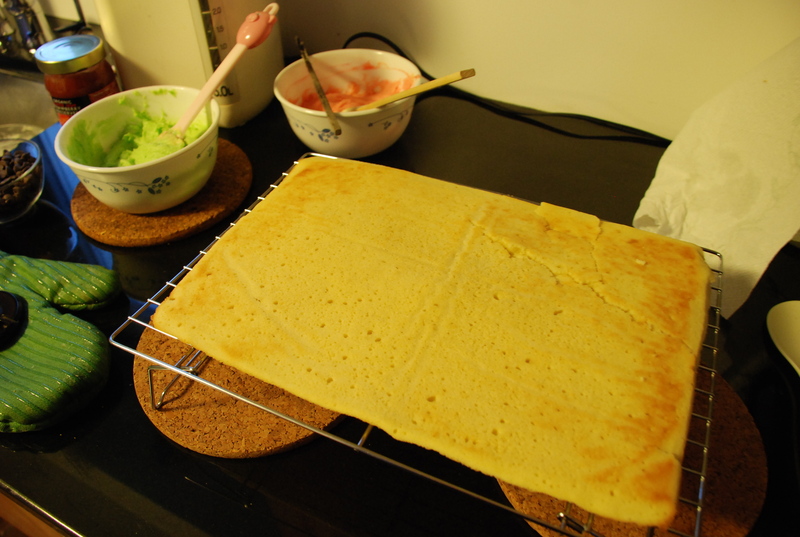 That’s what I did or else you are going to have some lopsided rainbow cookies. As I mentioned before about the oiliness of some cookies these don’t even though you do use quite a lot (3 sticks!) but don’t let that deter you from making it. I might try this again with some substitute for the butter. If you don’t have raspberry jam, its ok just use whatever jam you have available and don’t skimp on it because that is the glue which holds the layers of “rainbows” together. Also, for the chocolate melting part. I took a short cut and melted it in the microwave because I’m lazy to use a double boiler. All the ingredients, minus the parchment paper. 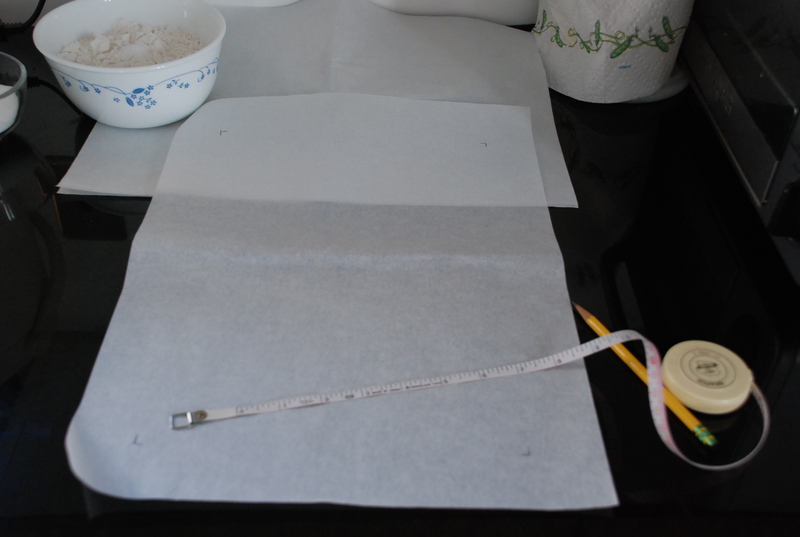 Measuring out the dimensions for the cookies. 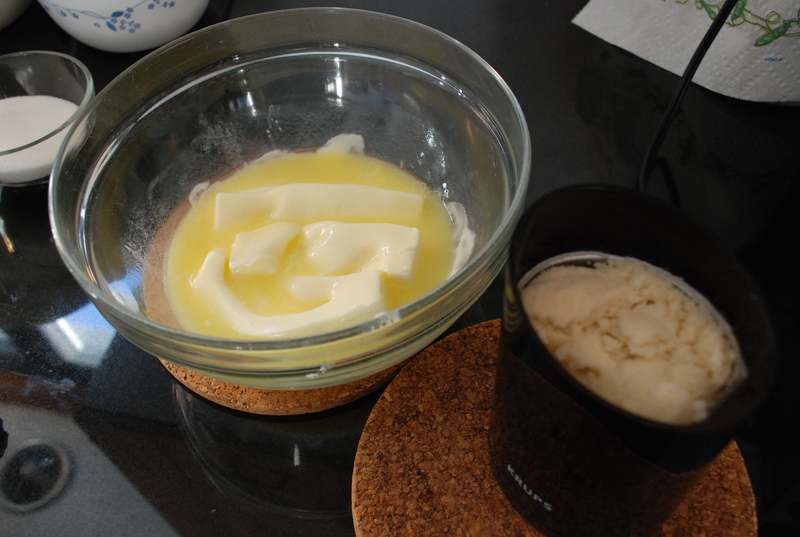 the melted butter (from the microwave) and grounded sugar and almond paste. 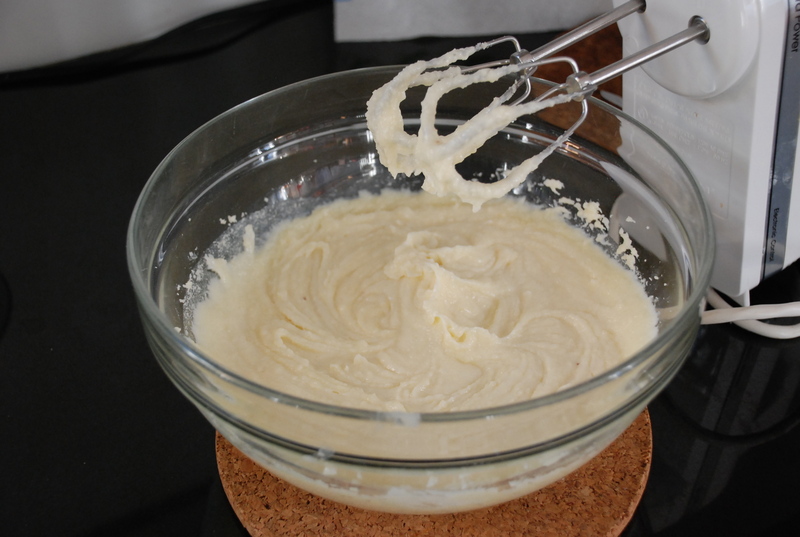 I use a coffee grinder to turn the paste and sugar into a fine mixture. 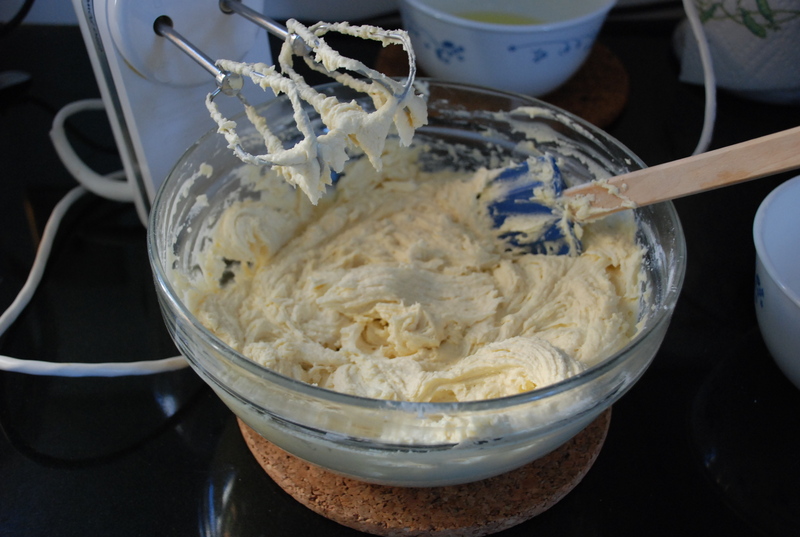 Mixed butter and almond paste/sugar. Previous mixture along with the rest of the ingredients. At this point it smells really good because the almond extract brings out the almond flavor. Letting a layer cool off. There is a bit of a mishap because I tried to invert the layer and in the process I broke the corner. The rest of the rainbow. 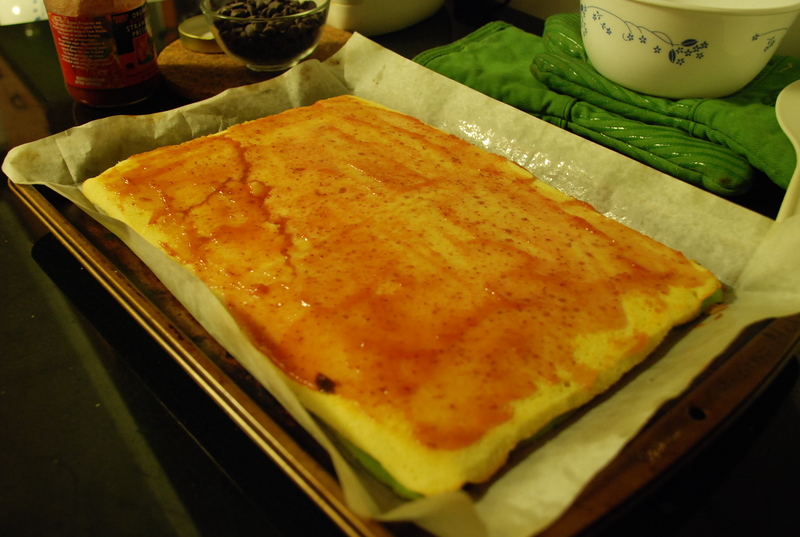 the mishap up-close, I covered it up with jam and another layer will go on top of it. phew! Final product! the chocolate could been done smoother and nicely but the chocolate wasn’t tempered properly….It’s all good though because it still tasted amazing! Melt chocolate in a double boiler or a metal bowl set over a pan of barely simmering water. 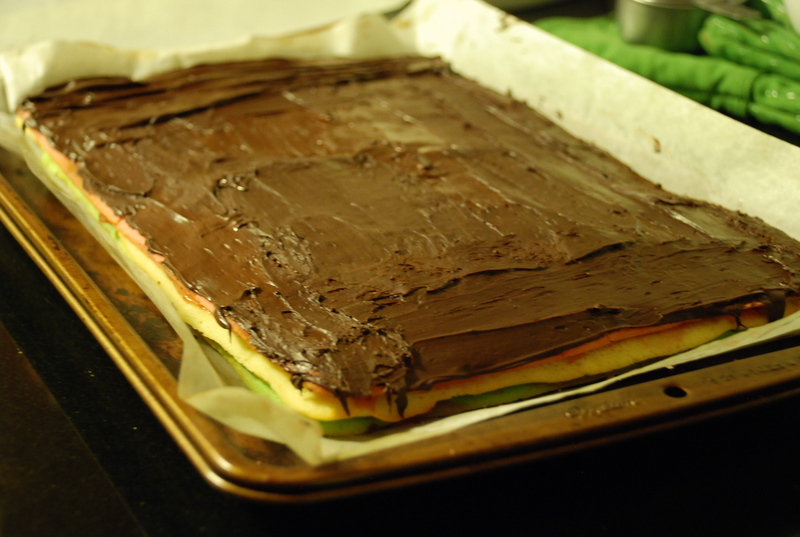 Remove weight and plastic wrap and spread chocolate evenly over top, but not sides, of pink layer. Let stand at room temperature until set, about 1 hour, and cut into small diamonds (12 rows crosswise and 12 diagonal rows) or into squares.